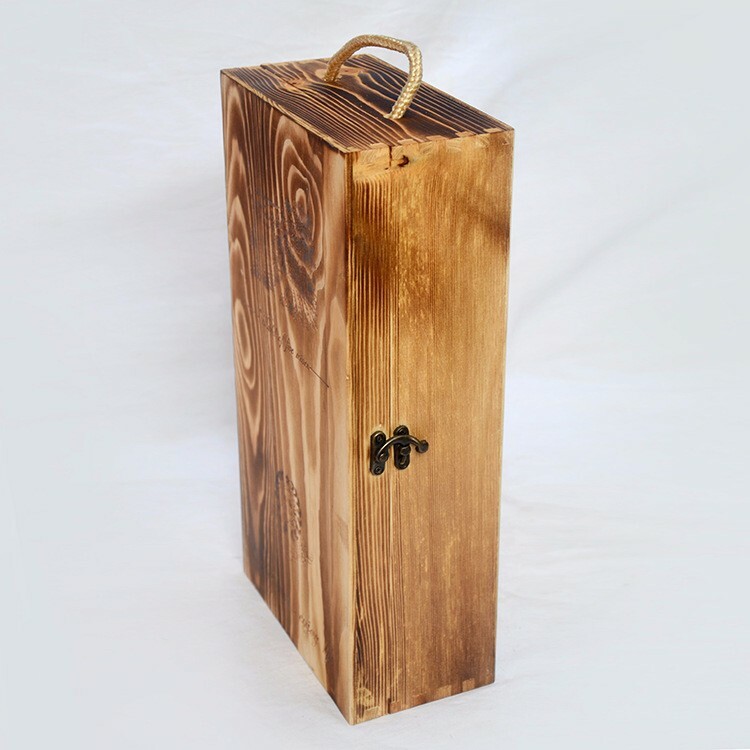 Retro and delicate wooden wine box is made of elaborately selected wood with nylon lifting straps, so it is more convenient and safe to take along. 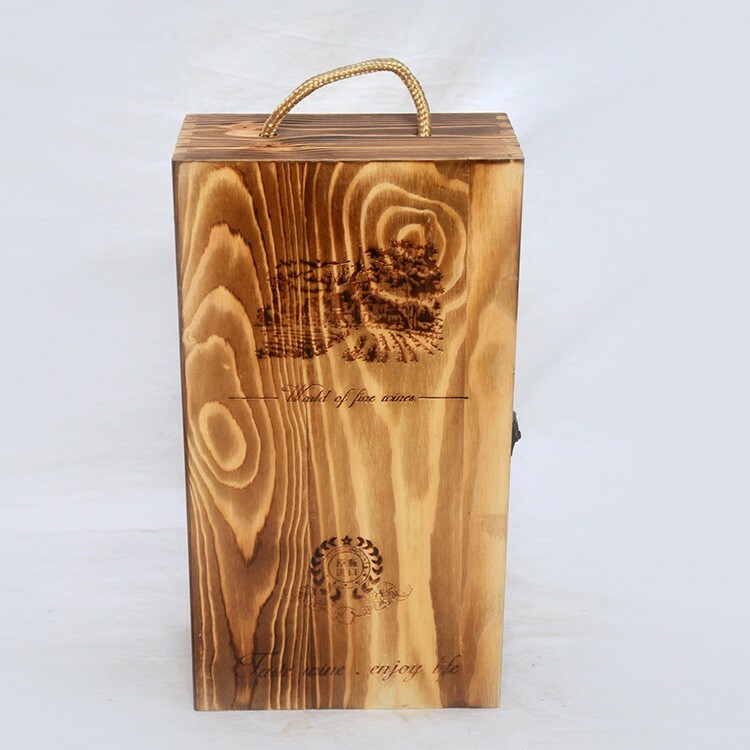 Furthermore, the wooden gift box decorates your wines or gifts, allowing you to enjoy the dinners and parties. You can not only enjoy the beautiful gold stamping patterns, but also savor the wine. 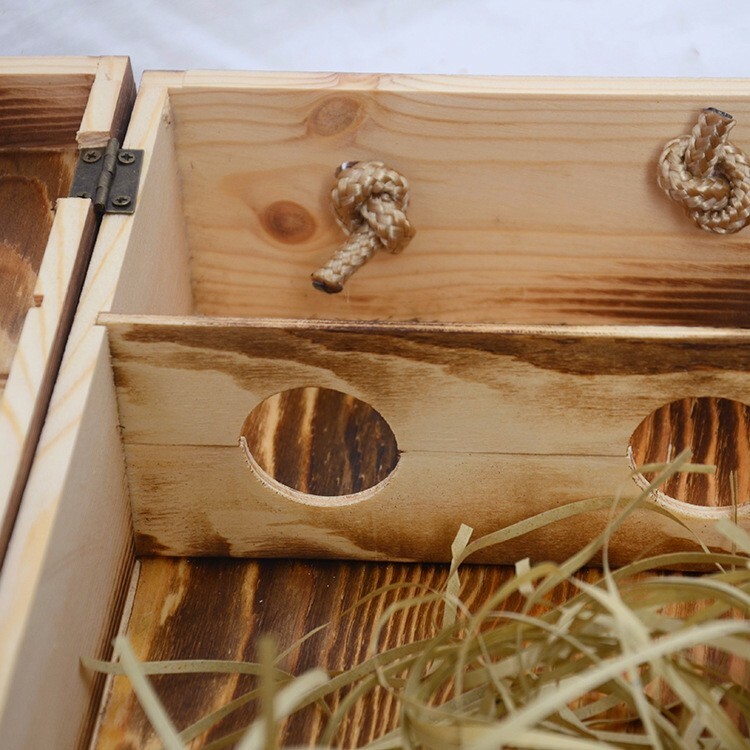 It can be used as a storage box after finishing the wine, so it is a great gift for frieends and your bosses. 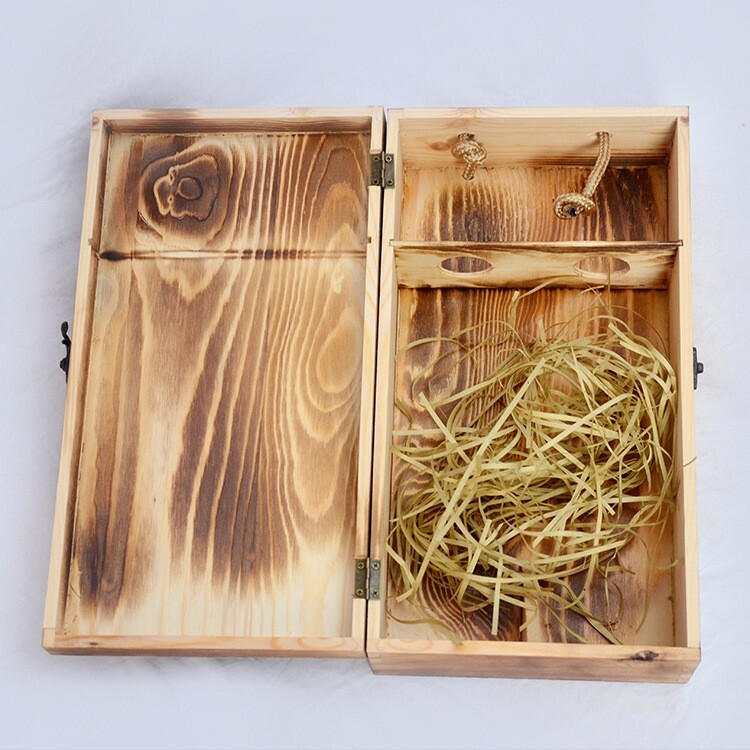 We have lots of other types of Wooden Kitchenware and Wooden Cooking Utensils like Wooden Mug, Wooden Tray, Desk Organizer and lots of wooden things, if you are interested in wooden products please don`t hesitate to let us know. We will be more than happy to assist you. 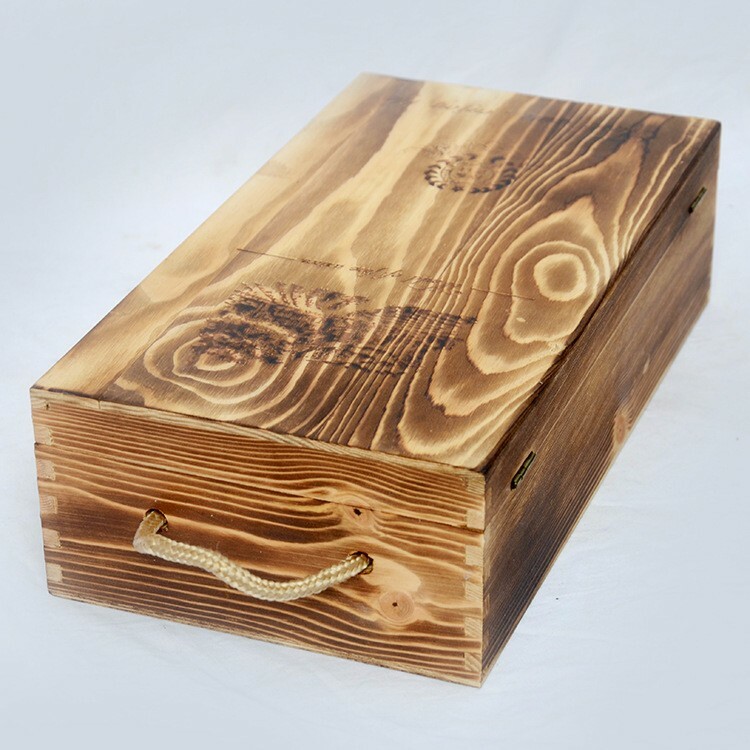 Looking for ideal Wooden Wine Box Manufacturer & supplier ? We have a wide selection at great prices to help you get creative. 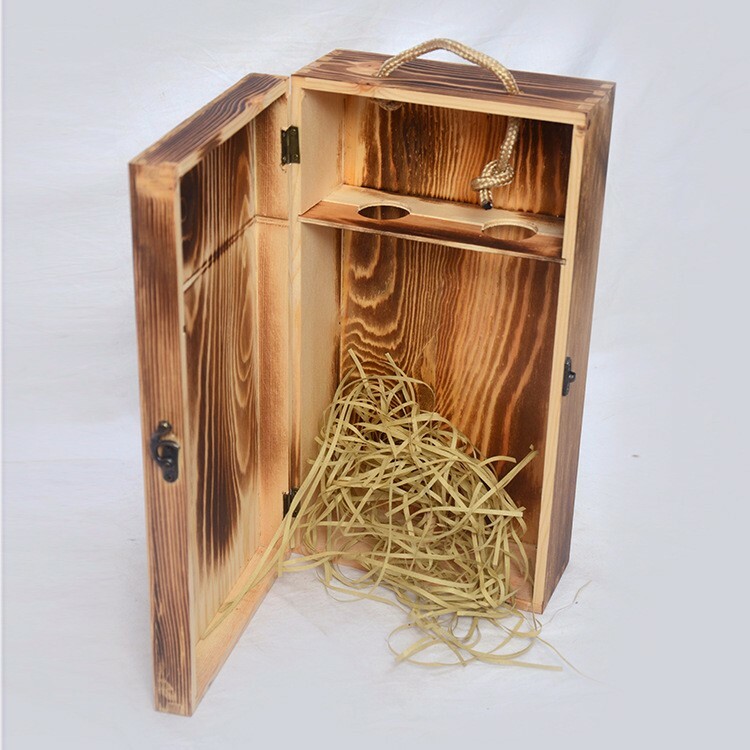 All the General Gift Wine Box are quality guaranteed. We are China Origin Factory of Wine Packing Box 2 Bottles. If you have any question, please feel free to contact us.